How much is your diamond necklace or ring worth? No jewelry certificate report will have the answer to this question in terms of ‘dollar value.’ This is why people look for jewelry appraisals. 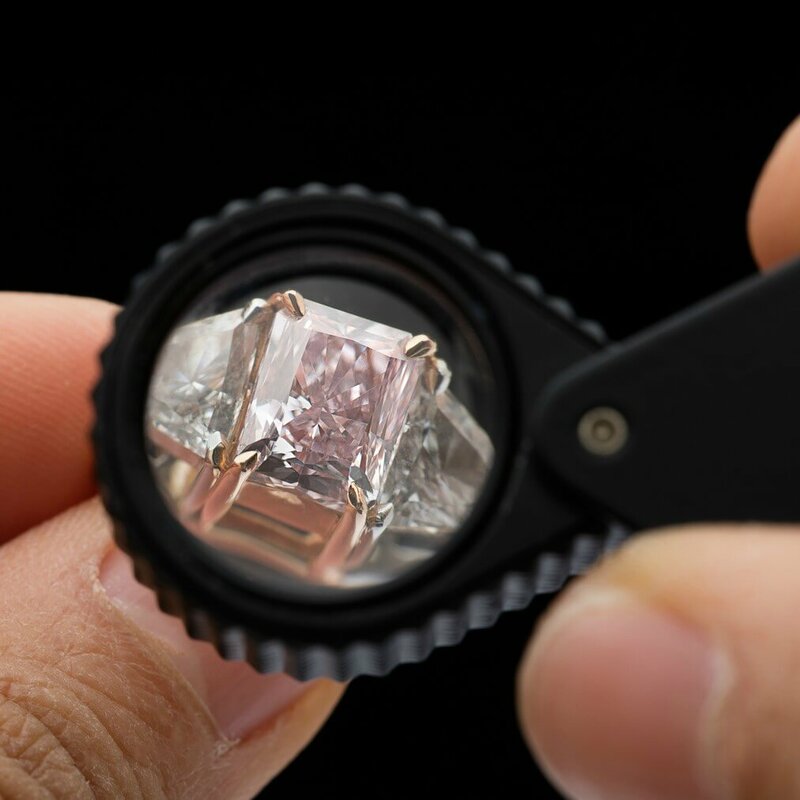 If you are looking for a jewelry appraisal, here is our guide to understanding the what, why and how of jewelry and diamond appraisals. Do you want to know the cost of your jewelry for insurance purposes? Maybe, you want to sell a diamond ring that you inherited. Regardless of the reason, you will have to knock on the door of someone dealing in diamond and jewelry appraisals. What is a Jewelry or Diamond Appraisal? 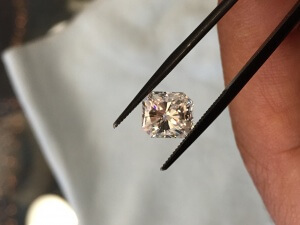 A jewelry or diamond appraisal is a document that gives specifications of the jewelry or diamond and assigns a value to it in terms of money, after assessing its quality to the minute detail. It includes all types of analyzing and measuring aspects, whether visible or invisible, such as weight, the material used, and the markings. These appraisals also describe in details the features like quality, age, and rarity of the jewelry. Manufacturing quality of the piece is also mentioned in the documentation by the established appraisers. There are 2 main types of appraisals. They differ according to the purpose of the appraisal such as taxation, insurance, donation or for reselling. It is essential to pay heed to the goal for which the appraisal is being requested, as the amount analysis differs for different reasons. If your jewelry or diamonds fall under any insurance policy, you will have to get the estimation performed when the insurance company will ask for it. The insurance appraisal value of your valuables is considered as the replacement value. This replacement value corresponds to the amount that will be needed to repurchase the same piece if it were lost or stolen. Suppose, you have a diamond ring that you bought a year ago. Its replacement value will be equal to a similar diamond ring purchased in the present from a jewelry store. This type of appraisal would not represent the amount for which you could sell the ring on your own. It is the amount that a retail store would charge for the same piece. The value of the jewelry or diamond is sometimes needed for the legal purposes. In such situations, either your valuables are going to be divided, or the value is being calculated for the tax-related issues. The amount documented in such cases is usually about the amount that you will get on selling the item to a third party. When you buy jewelry you pay for the labor. When you sell jewelry, you sell only the material. Let’s assume you spend $10,000 for a diamond ring retail. $800 of that is the tax, then there is about $2000 for the mounting. So, essentially, you paid $7200 for the diamond itself. Retail. This diamond is then worth about $3500 on the wholesale market. The retail appraisal is about 40% to 60% higher than the wholesale value of the jewelry. A wholesaler will buy the diamond for $3100 so a diamond buyer will buy the diamond for $3000 + $120 for the ring. A good diamond buyer will buy the jewelry or diamonds for a little less than the amount they can sell. It’s obvious that getting underpaid is not ideal for anyone. And getting overpaid, indulging in fraud will have enormous repercussions. Therefore, necessary measures need to be taken to come up with a fair deal. It’s important to make the appraisal process as transparent as you can. The under-listed few points must be taken into consideration throughout the appraisal process. Certified Appraiser – Check for the certification of the appraiser and his knowledge about this field. Try to acquire the reviews about the appraiser and be sure about his ethical conduct. Appraisal Purpose – Be sure about the right kind of appraisal process that matches the purpose of the appraisal. As discussed above, the reason for doing an assessment makes a huge difference. Make sure the appraiser performs the type of appraisal you need. Seal and Signature – Aim for a straight-forward value statement with a seal and signature of an authorized appraiser. Though the document should be precise, it must contain all the valuable information. Grading Process – Be informed about the details of the grading process employed and the measurements used in preparing the appraisal. Also, ask the appraiser to mention them on the appraisal document. Don’t Miss the Details – A detailed analysis of all the details and sorts of information written with precision is essential. It will avoid confusions and misinterpretations later on. Face-to-face Conversation – A face-to-face meeting with the appraiser before and after the appraisal process is necessary. Make time for an open discussion with the appraiser regarding the jewelry and diamond appraisals that you have asked for. Over-valuing of items intentionally is illegal under the Federal Trade Commission (FTC) guidelines. It is considered unethical by nationally recognized appraisal organizations as well. The value of the commodity should not be inflated for the personal profits as it will come with huge repercussions. Whether you want to sell your diamond jewelry or you need to access its value for insurance purposes, it is important to understand the jewelry appraisal processes. This information can help you understand the value of your diamond or jewelry in the different markets and why there is a difference. Selling your diamond jewelry can be a great way to get access to money you need, fast. But, understanding that a retail or insurance appraisal will always be 40% to 60% higher than a second-hand market appraisal. If ever you have any questions about getting the best value for your jewelry, give us a call. At M.I. Trading, our experienced gemologist and diamond buyer is always happy to educate everyone on the process of buying and selling diamonds and fine jewelry.